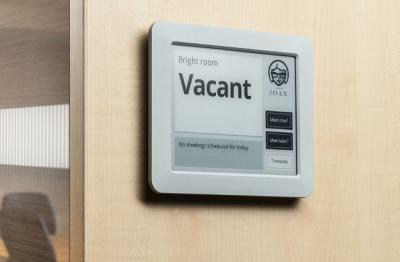 Visionect's E Ink based Joan meeting scheduling solution is a very successful product, but it's relatively expensive - starting at €449 for the basic 6" model. Visionect launched a new payment system, which they call Joan Universal. In this version, Joan costs only €199 - but with a monthly subscription fee of €19.95. You can pay for only the months you need the device (the data will be retained in the months you do not pay), so this new fee structure could be attractive. E-Ink-Info readers get free shipping on all Joan versions, simply use the coupon EINKINFO20A9 when you checkout. You can also see how the different versions compare here.